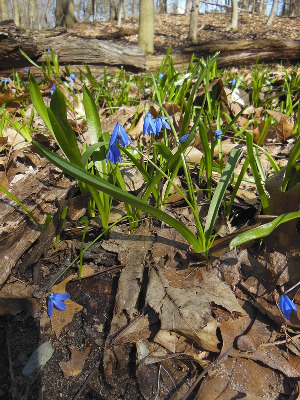 Ditches, fields, and forests; a very common early spring bulb from Eurasia, carpeting some gardens in blue and doubtless a more common escape than the few records suggest. First collected in 1960 in Houghton Co. Sometimes segregated as Othocallis siberica (Haw.) Speta. MICHIGAN FLORA ONLINE. A. A. Reznicek, E. G. Voss, & B. S. Walters. February 2011. University of Michigan. Web. 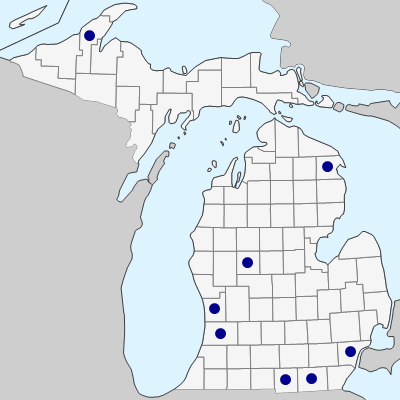 April 22, 2019. https://michiganflora.net/species.aspx?id=1443.